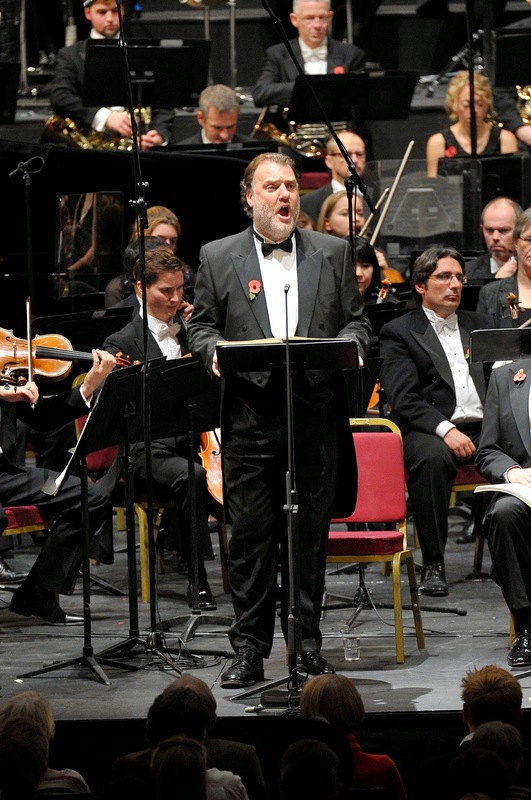 On Sunday 8 November 2014, the Royal Choral Society and the London Philharmonic Orchestra, conducted by Richard Cooke (music director of the Royal Choral Society) performed Britten's War Requiem at the Royal Albert Hall with soloists Bryn Terfel, Evelina Dobraceva and Stephan Rügamer. The event was in aid of Veteran's Aid and has netted over £100,000 for the charity. The concert is being broadcast tonight, 11 November, on Classic FM. Founded in 1932, Veterans Aid, provides ex-servicemen and women in crisis with immediate support. The concert was presented association with The Lady R Foundation, a charity founded by The Dowager Viscountess Rothermere, to bring comfort and relief to the forgotten, the overlooked and the stigmatised in today’s society.